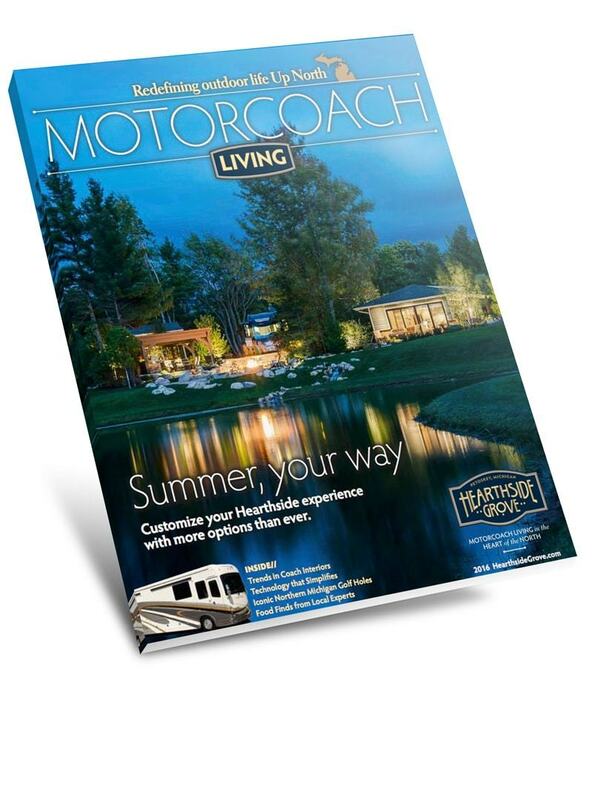 You own a wonderful motorcoach that has a place for everything, and everything is in its place. You’re up north, choosing to feed your soul with the beauty of water and woods. By definition, you have rejected clutter and artificial ostentation. You are in many ways a member, whether you know it or not, of the arts and crafts movement. Rather than a specific style, the arts and crafts movement was a design philosophy that has its roots in the 19th century. It rejected Victorian fringe, flounces, and furbelows. It was a reaction against the style of many things shown in the Great Exhibition of 1851, which were ornate and artificial, and which ignored the qualities of materials used. The arts and crafts movement embraced the idea of fine workmanship and handcrafted details and was an inspiration for many successful American designers, including architects Frank Lloyd Wright, the Greene brothers, and furniture maker Gustav Stickley. Not to mention, it gave birth to the bungalow home. The bungalow style became popular in Europe as a form of resort lodging before it came to America in 1879 with architect William Gibbons Preston. A new version of the bungalow ~ a home displaying simple design, fine craftsmanship and natural materials ~ became popular as a summer house among wealthy Americans. Most architects agree that the bungalow house had its start in 19th century India. Small, native peasant huts, called “banglas,” captured the imagination of British officers stationed there. The British altered the size and style of these modest dwellings and found that the simple, airy architecture suited hot climates. Bungalows soon became a fashionable home style for Europeans living in tropical colonies. The architectural golden era for the American Bungalow was the first third of the 20th Century. The craftsman style bungalow employs a wide range of materials in its interior and exterior, with emphasis on quality materials and construction. These arts and crafts inspired homes to reflect a more relaxed attitude than the Victorian houses that preceded them. Gabled, low-pitched roofs, a wide front porch with large columns supporting an extended main roof over a single story, define traditional bungalows. Double-hung windows are common as are dormer windows, deep eaves, and exposed rafters. The exterior siding varies with the region. Inside, an open floor plan allowing for easy flow of traffic throughout the space is the hallmark. The design makes efficient use of space and usually has minimal hallways and a number of built-in storage areas. A large fireplace is typical, with built-in bookcases, cabinets or benches on either side. 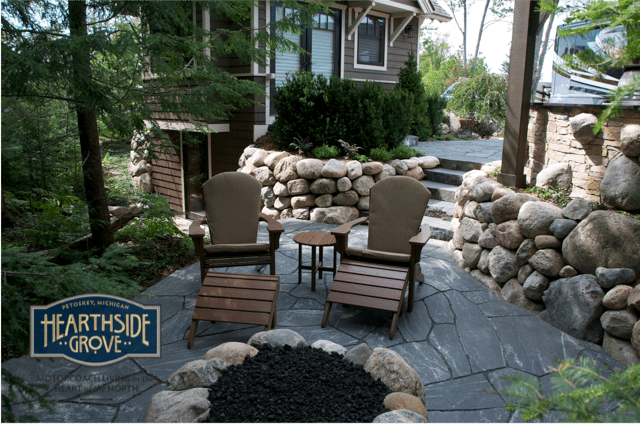 At Hearthside Grove, the fireplace (or fire pit) will likely be outside on the patio, replacing the traditional front porch. The outdoors is a big part of life here, so the design is based on the optimal flow between inside and outside living spaces. Exterior siding is coordinated with hardscape to add harmony. By the end of the 19th century, arts and crafts ideals had influenced architecture, painting, and sculpture, as well as the decorative arts, including furniture and woodwork, rug making and weaving. At Hearthside Grove we invite you to let it influence you as well. Positioning a big mirror across from a window to bring the outdoors to an interior wall adds style and a sense of space to your plan. Upholstery and rugs with simple, nature motifs are in keeping with the arts and crafts movement. Celebrate the charm of decorating a small space. Each object or piece of furniture need not be functional ~ let it be something you love. Remember that arts and crafts objects were simple in form, without superfluous decoration, often showing the way they were put together. They followed the idea of “truth to material”, preserving and emphasizing the qualities of the materials used. Furniture maker Gustav Stickley produced arts and crafts furniture, often referred to as being in the Mission Style. He used solid construction, what-you-see-is-what-you-get joinery, and the highest quality woods. The simplicity and openness of this type of design, or of Shaker furniture design, is perfect in a bungalow. Take your inspiration from the artists of the arts and crafts movement and follow the inspiration of one master: nature. 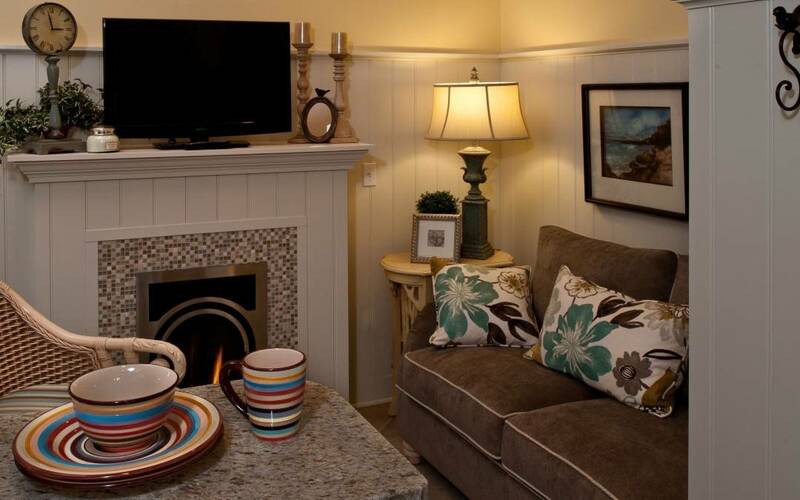 And in doing so, you will find that it is easy to capture the pace, the beauty and the simplicity of life Up North with charm, bungalow-style, at Hearthside Grove.